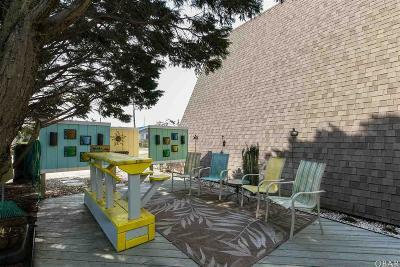 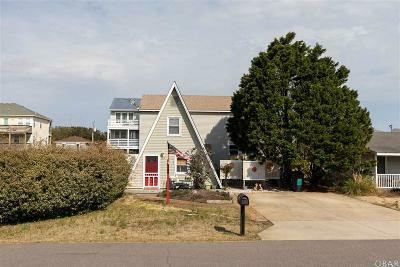 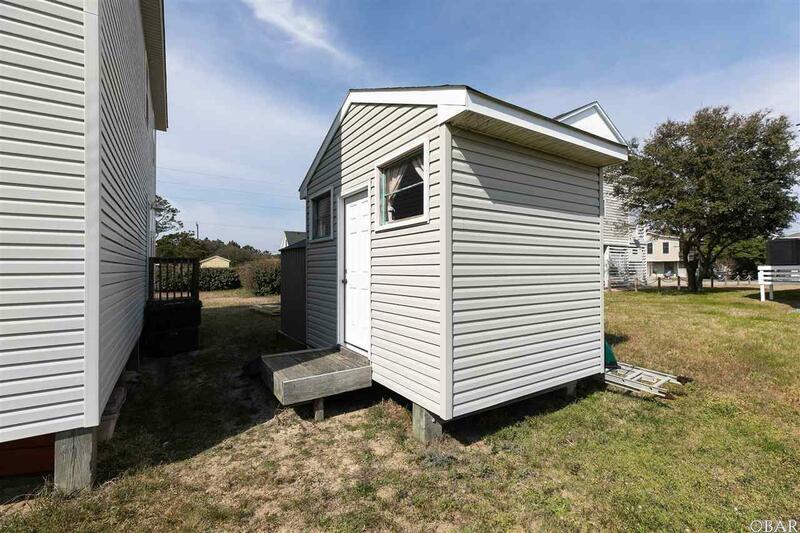 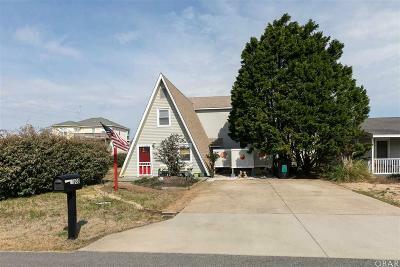 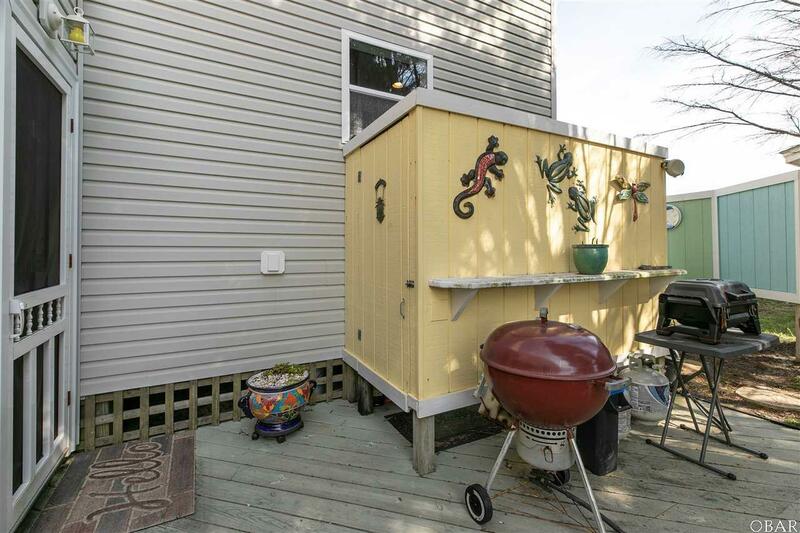 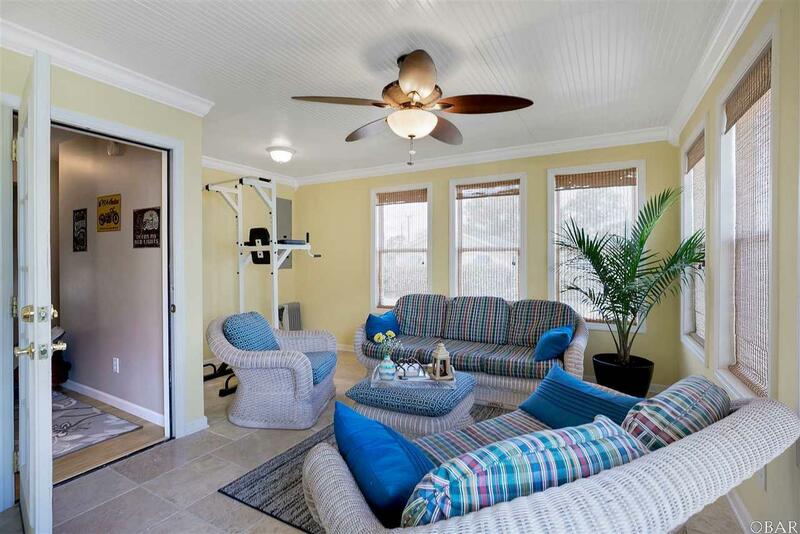 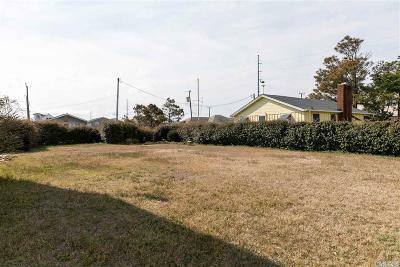 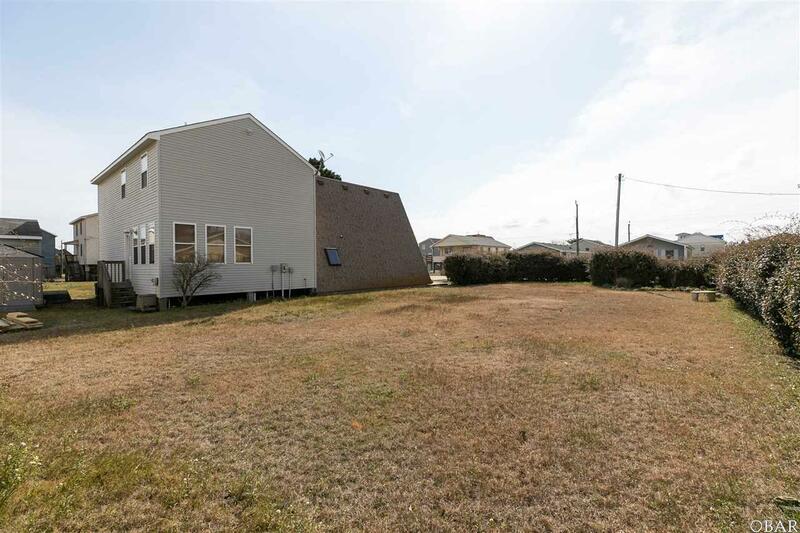 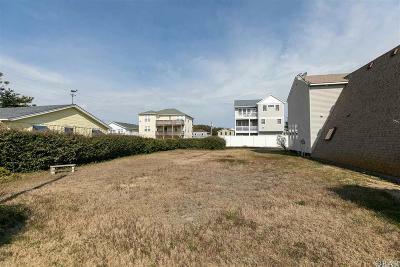 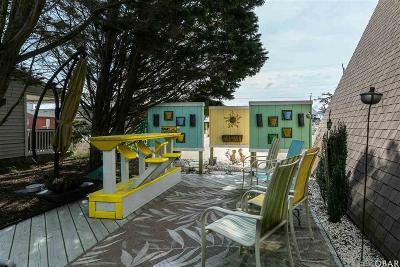 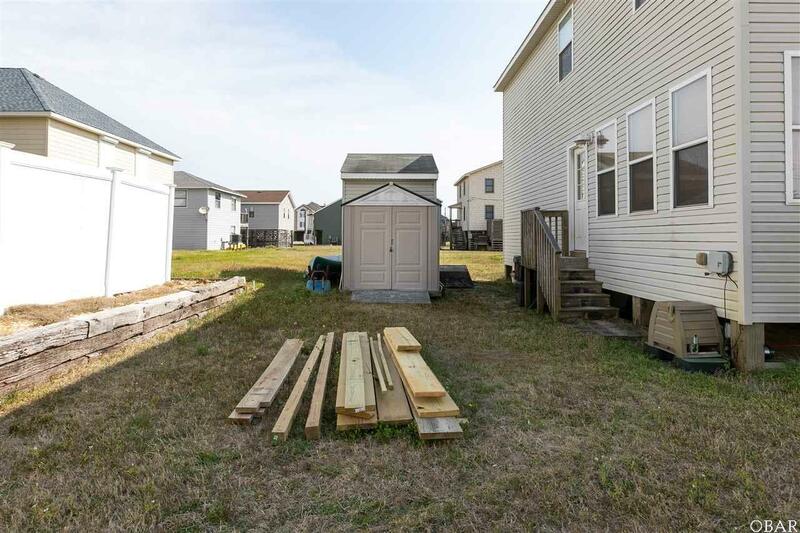 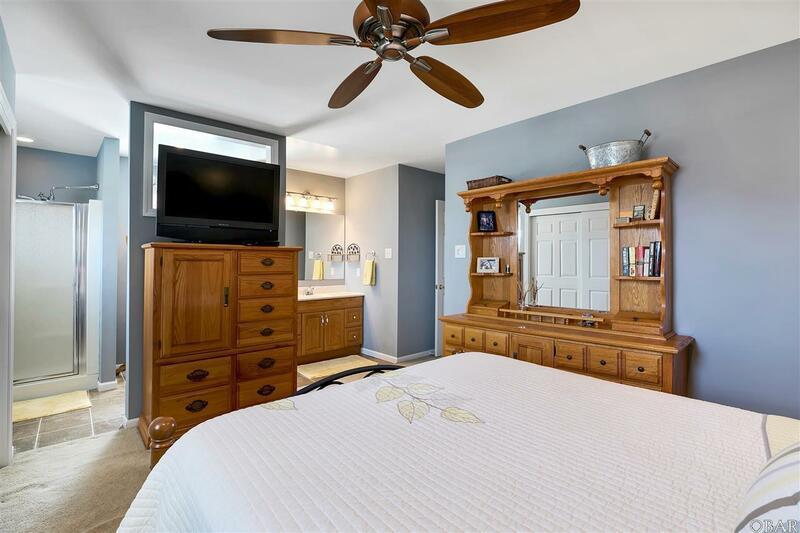 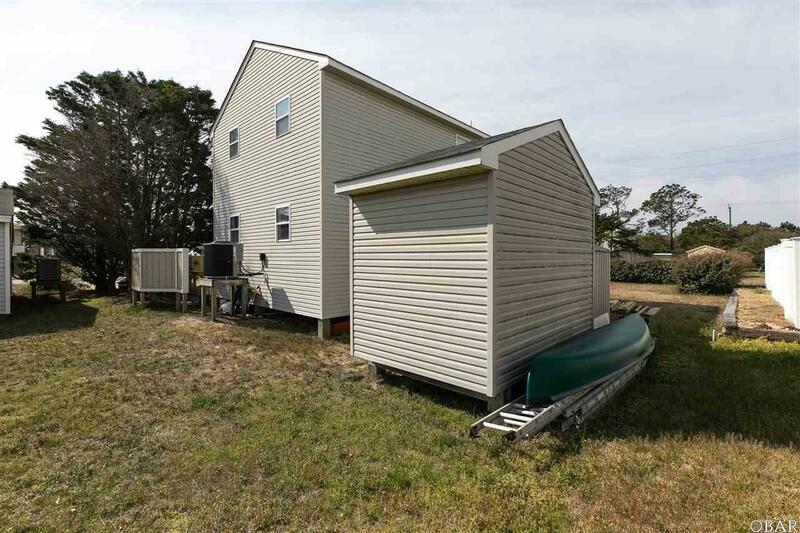 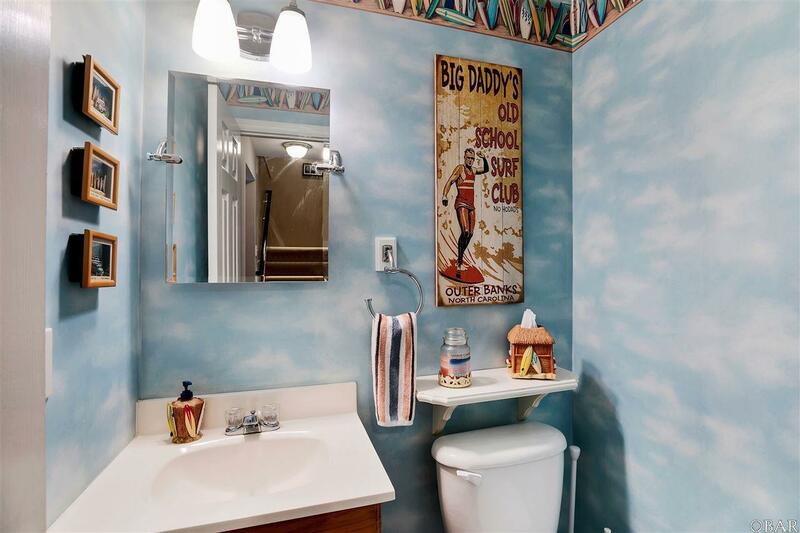 Situated on a double lot in the heart of Kill Devil Hills on the OBX with direct access to Raleigh Ave beach access, this 4 bedroom home has plenty of room to spread out. 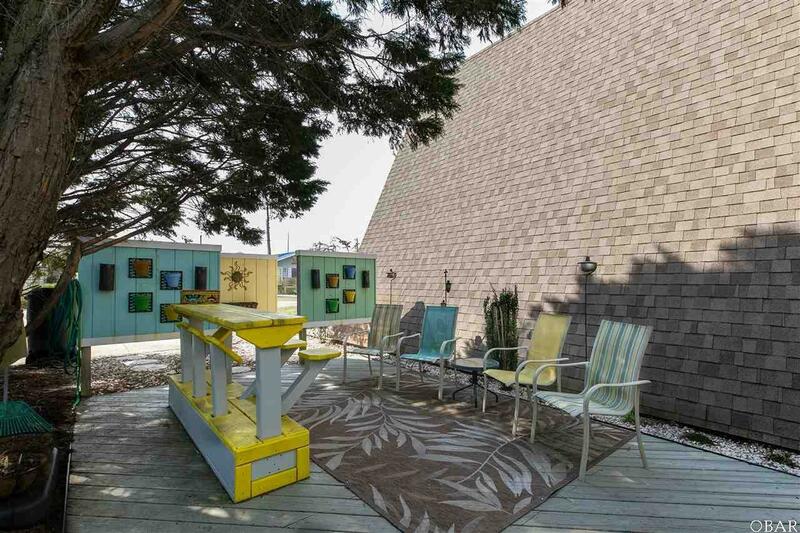 The outdoor space has been curated with the perfect patio for cookouts and gatherings, conveniently just off the kitchen. 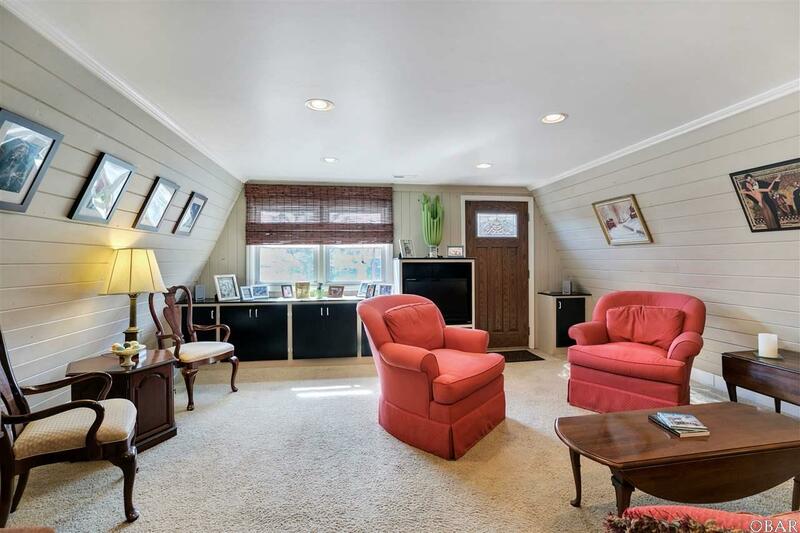 Originally an A-frame, owner thoughtfully added to the living space to include two additional living spaces and additional bedrooms. 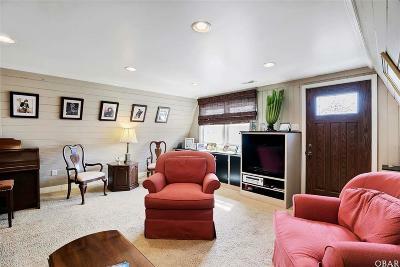 As you walk in the front door, you'll find the first of three living rooms just off of the eat-in kitchen. 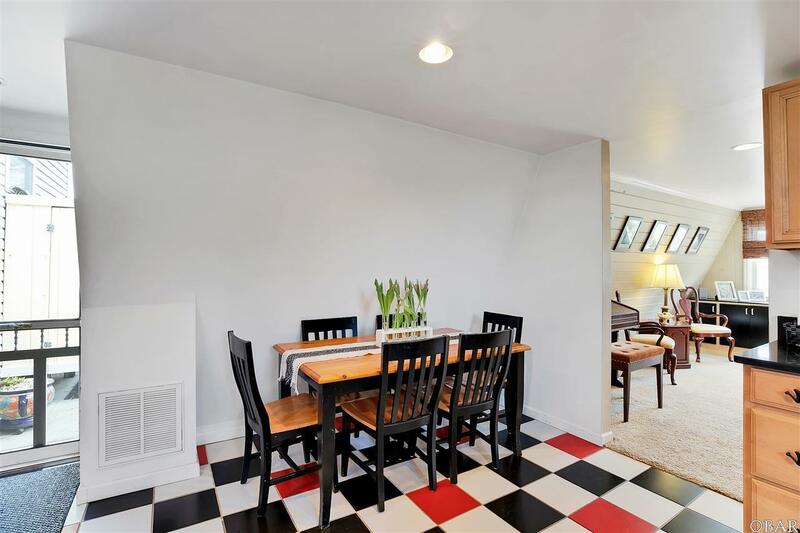 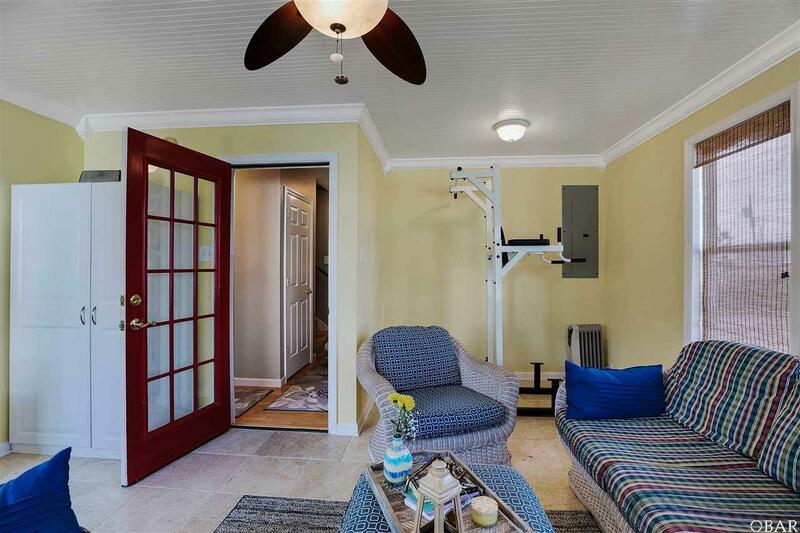 On the next level is a beautifully finished sunroom with tons of natural light. 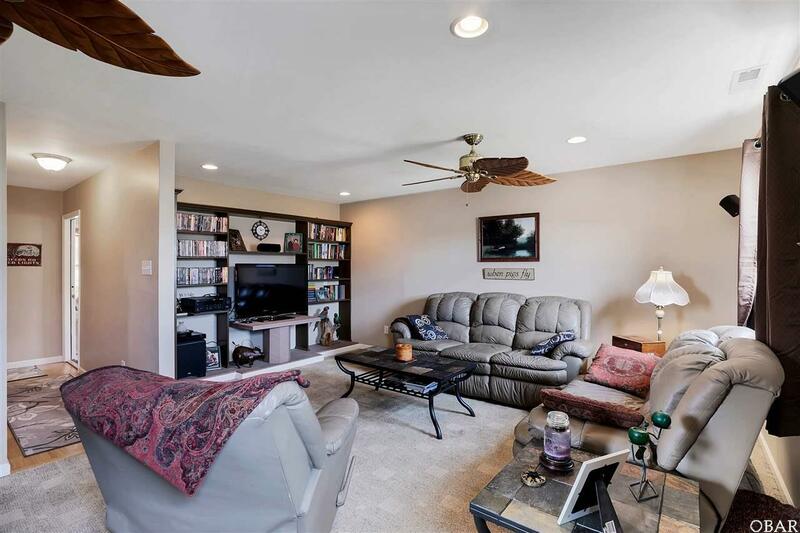 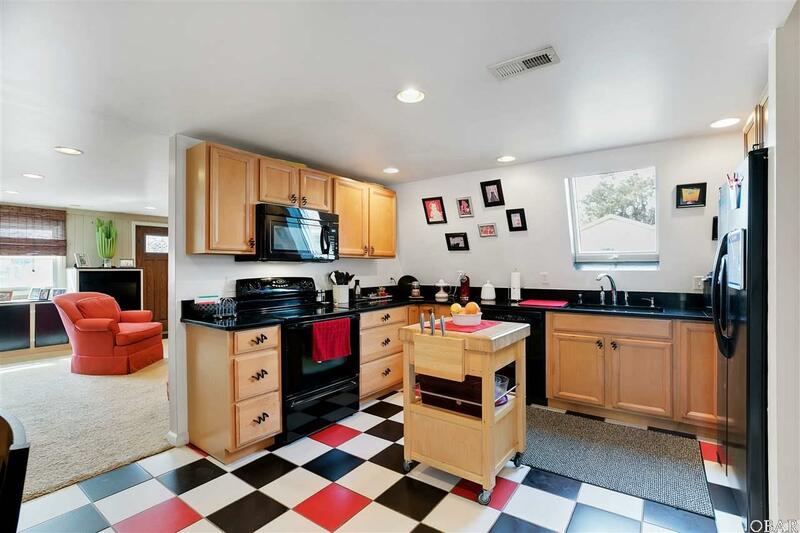 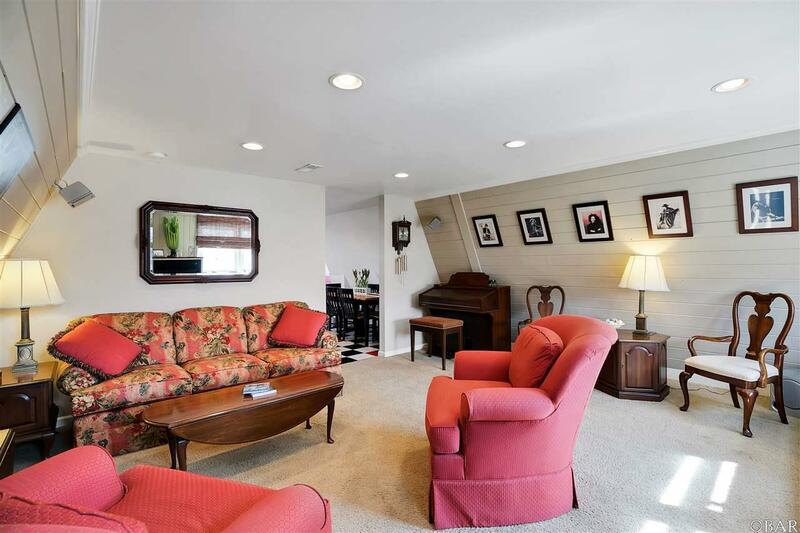 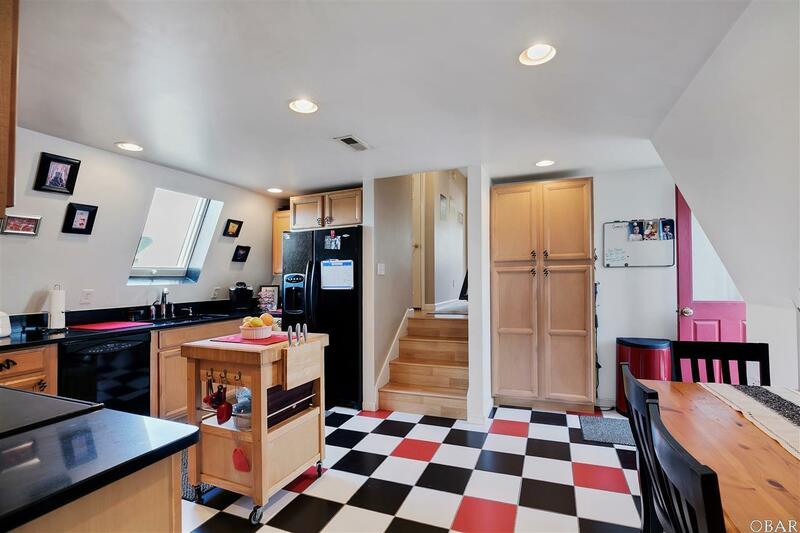 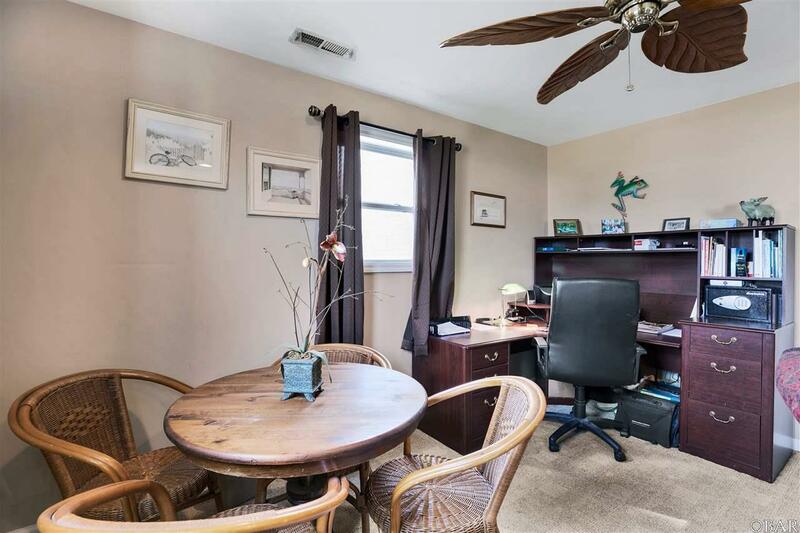 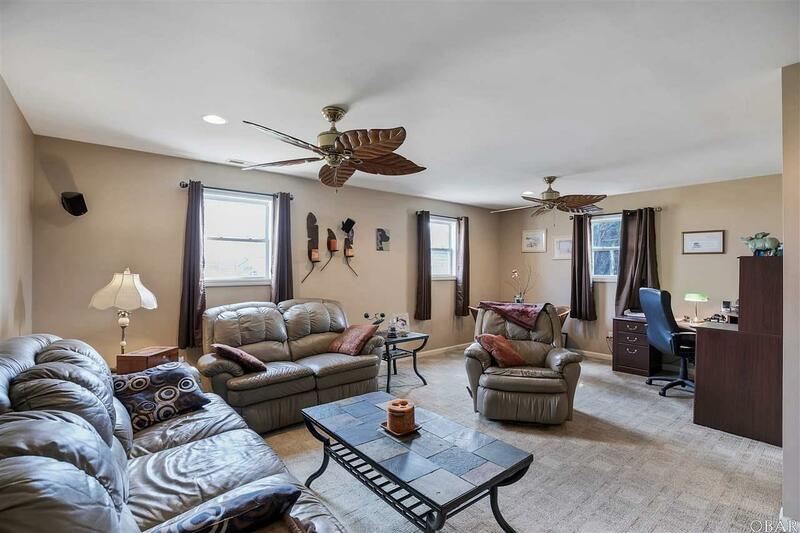 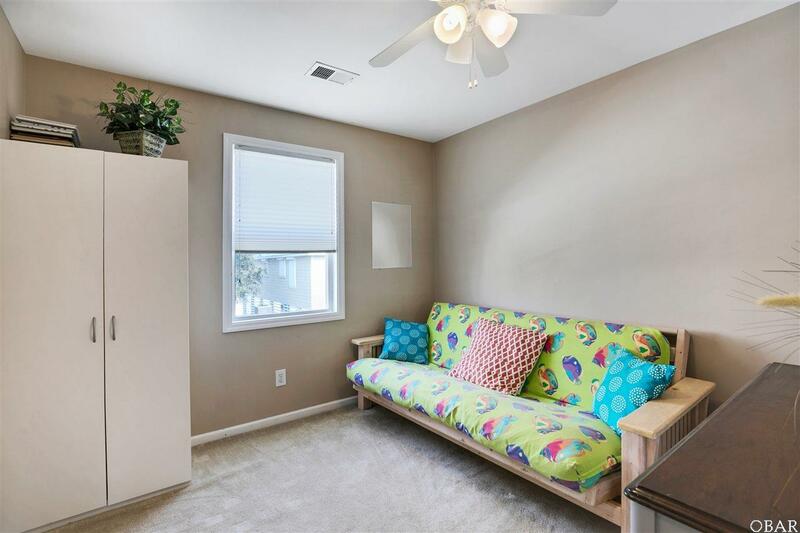 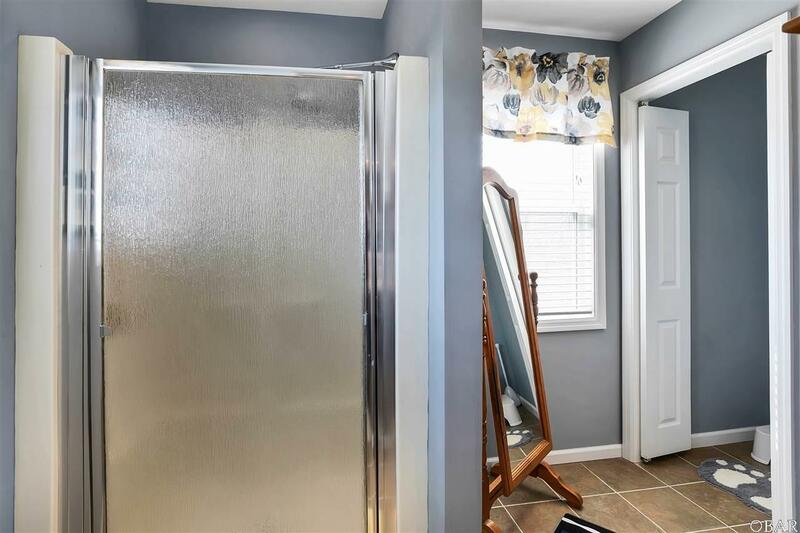 Also on this level is a spacious den with office space, separate from the rest of the house this area would make for a great playroom, game room or media room. 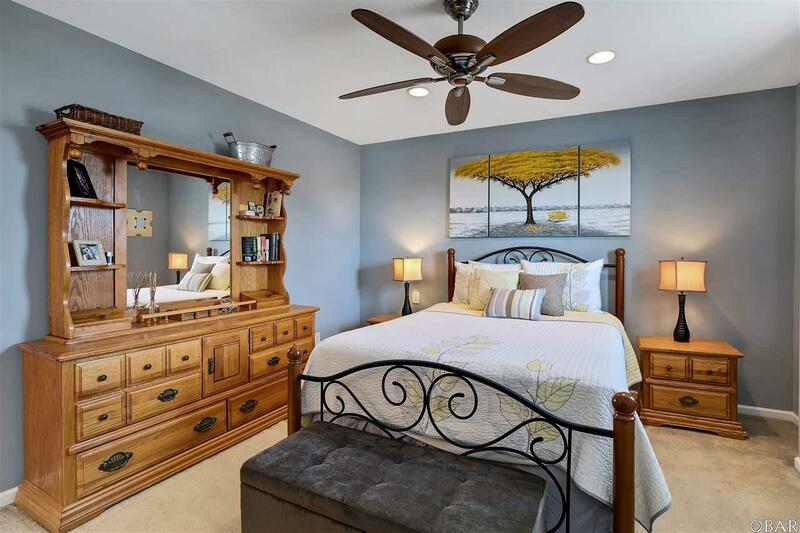 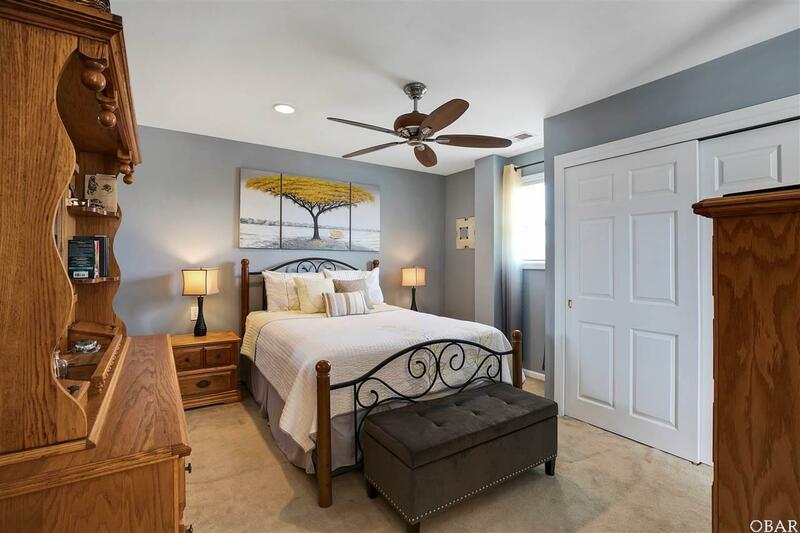 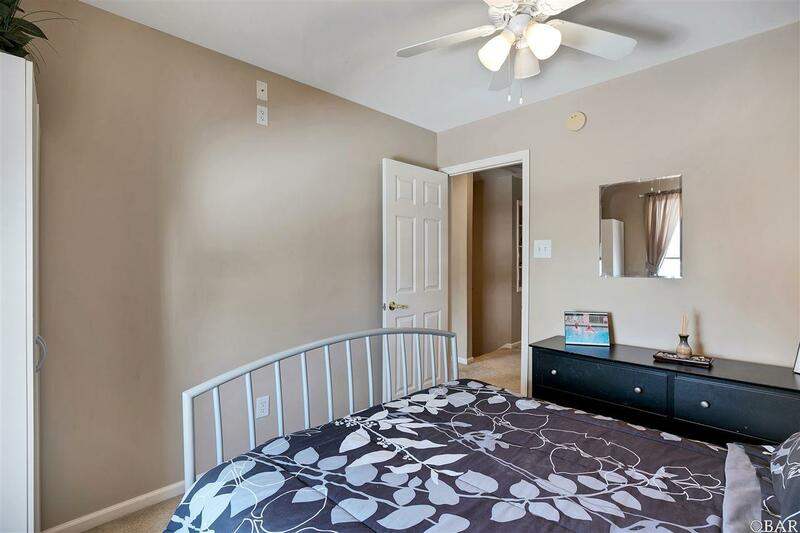 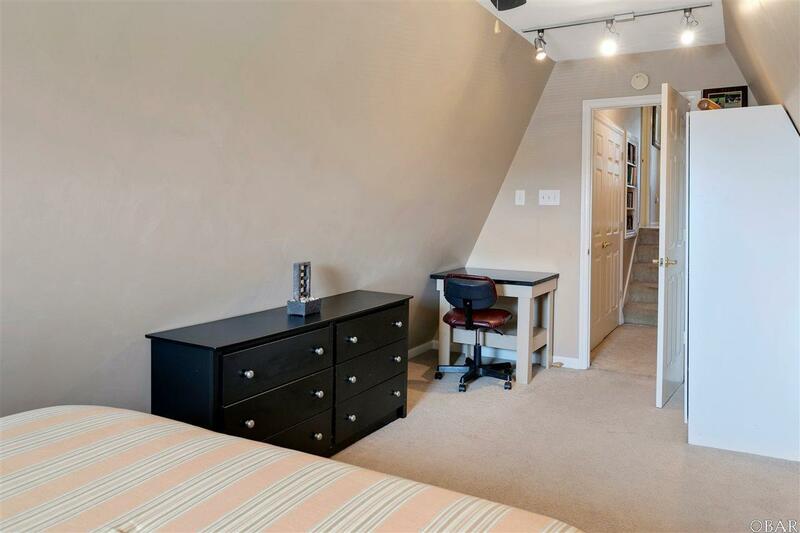 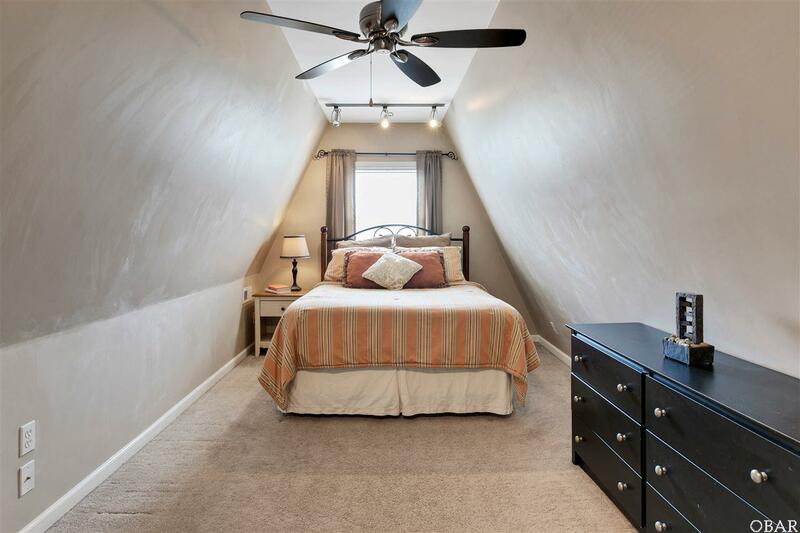 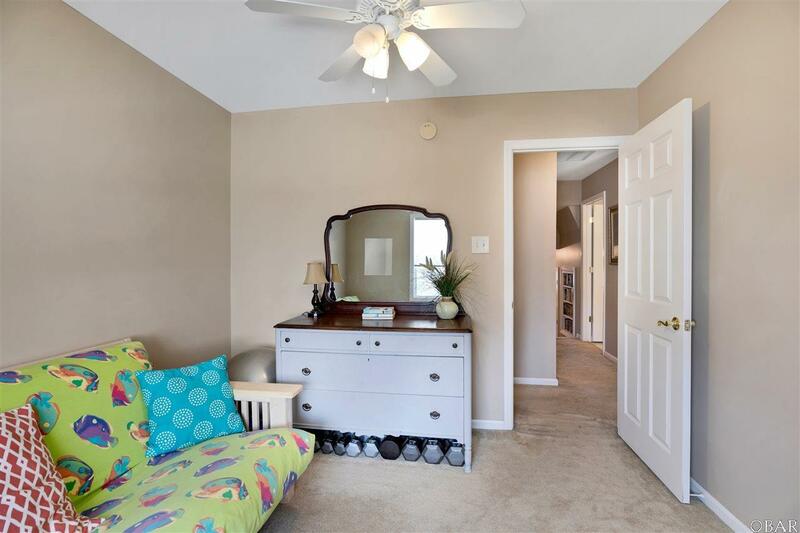 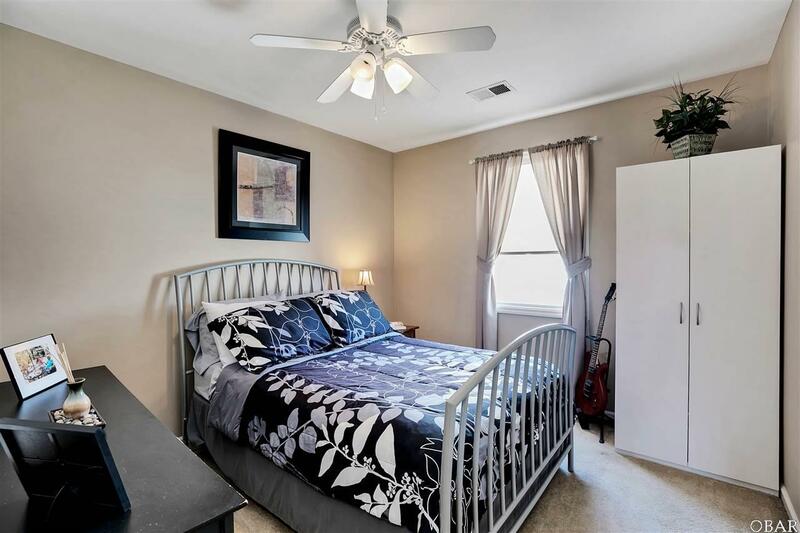 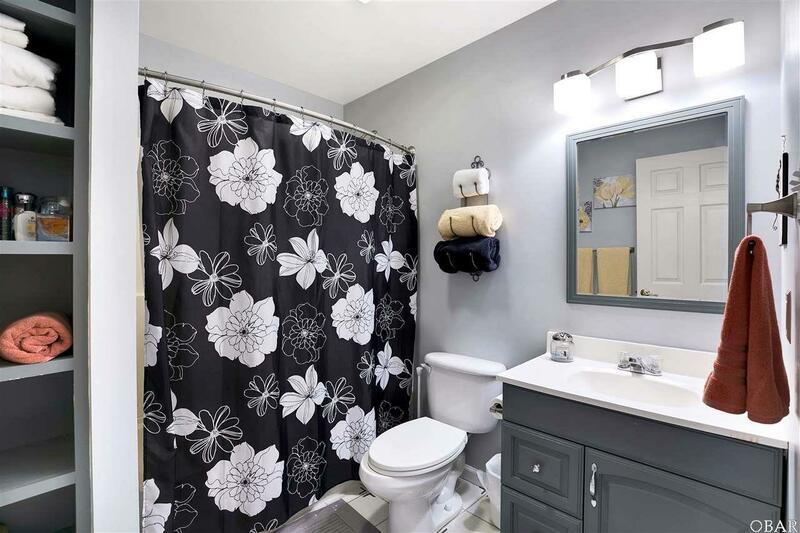 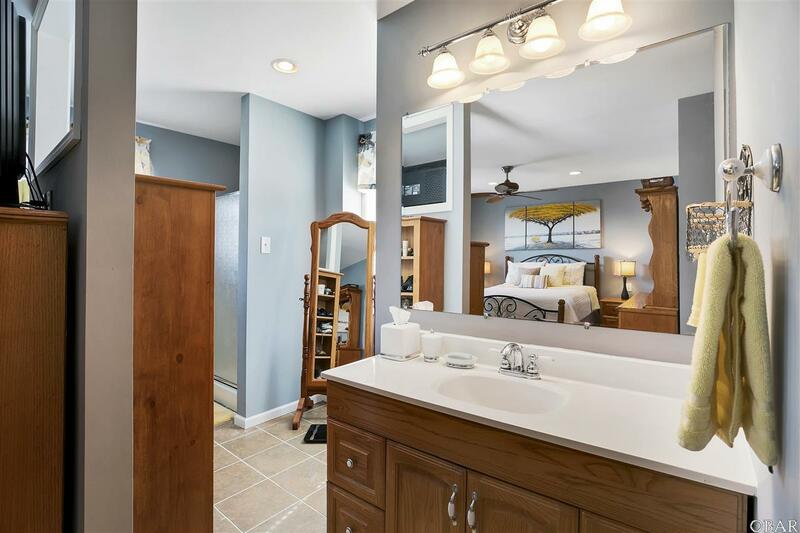 Upstairs you will find master suite along with three other bedrooms and one hall bath. 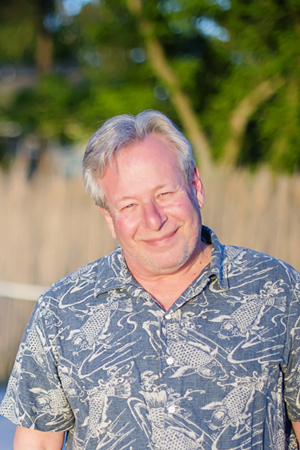 This home would make the perfect beach retreat, second home or primary residence. 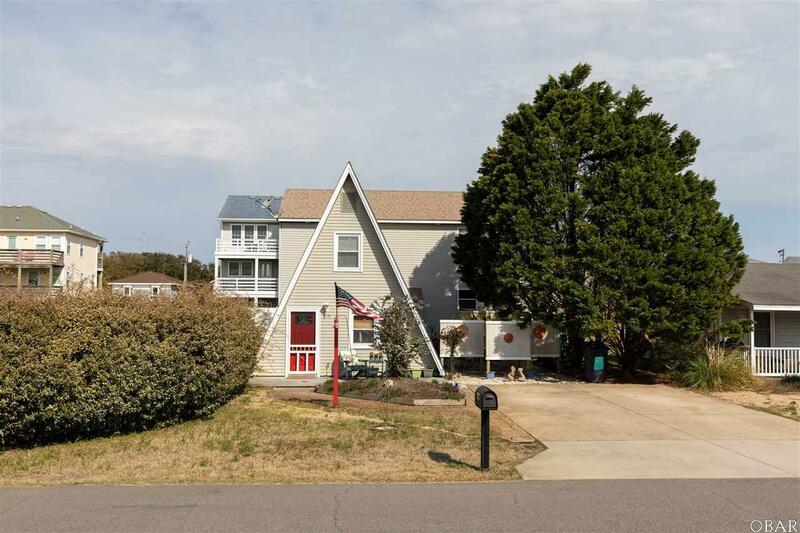 Location is perfect with easy access to the beach, close to shopping, restaurants and attractions like the Wright Memorial, just across the street. 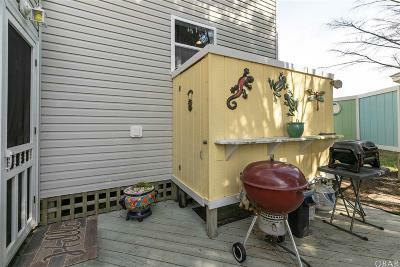 Yard has tons of space with the double lot so should have plenty of room for a pool and more outdoor entertainment!